The New PSC Solice Mini mixer is designed for use by today’s professional sound mixer who needs a simple, compact, convenient mixer for use with up to two boom microphones and up to six wireless. 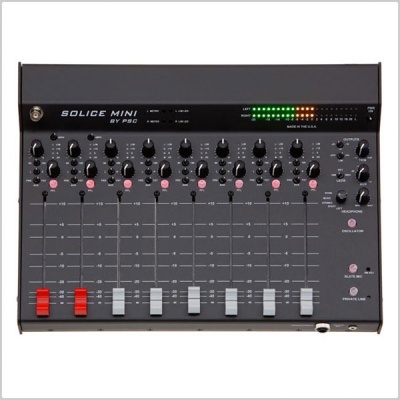 The Solice Mini mixer provides all of the functions found on most control surfaces and adds a slate microphone, reference tone oscillator, and private line functions. 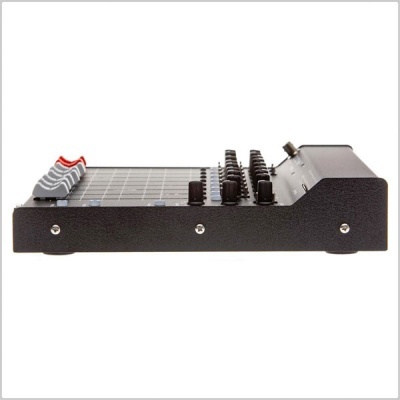 Housed in ruggedly built aircraft-aluminum housing and weighing just four pounds (~2 kg), this new mixer is perfect for those smaller cart-based audio jobs, including commercials, corporate videos, and any fixed location day job. 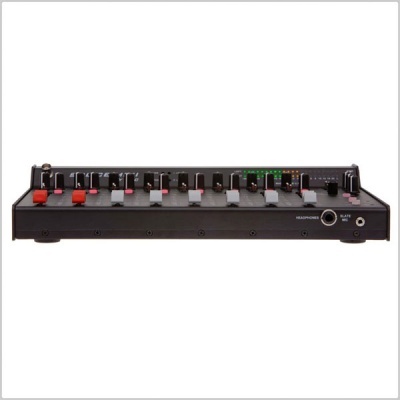 Each input channel contains a variable gain control, low-cut filters, high EQ, Left/Center/Right mix buss asignment switch, Pre-Fader/Off/Post-Fader aux assignment switch, channel metering, and a long throw, 100 mm fader. 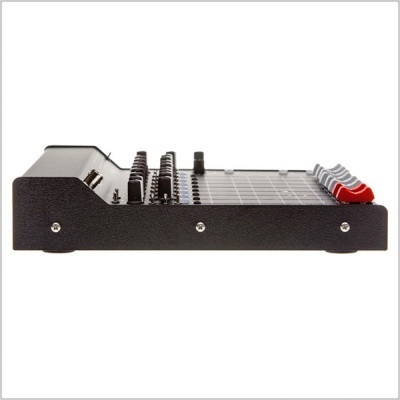 The output section includes line outputs with a +4, -10, and -20 switchable level, as well as a 12 db output-level trim pot, user-selectable headphone monitoring, slate microphone, reference oscillator, and variable LED brightness control. The eight inputs and eight direct outputs are available via DB-25 female and male connectors. You can connect your boom mic and all of your wireless with one DB-25 input cable. 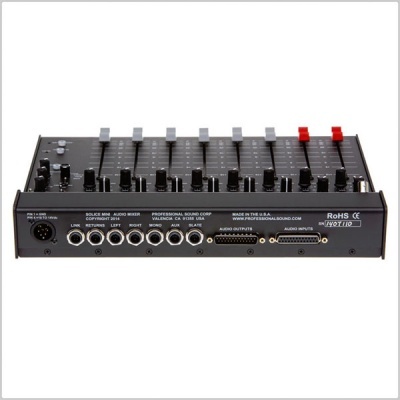 You can then connect the direct outputs to your recorder's inputs via one output cable. By using these fan-in and fan-out cables, you can connect the two cables together, allowing your boom and wireless to work easily in your audio bag. 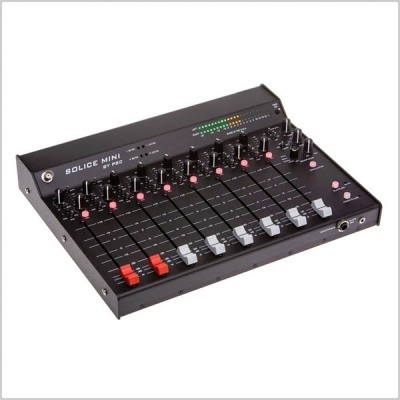 When the job requires a more complete mixer function, you simply disconnect the two DB-25s from each other and connect the Solice Mini between them. 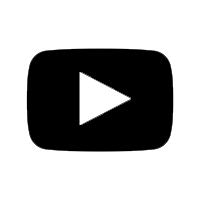 You can now make the changeover from bag-style mixing to cart-based mixing within minutes.